We’ll be by the watr fountain for a few minutes, but then will start to walk around the park – so as not to block the entrance. If you’re late just look out for the pack and come join us! We welcome all dogs to join us but do take all of the usual precautions to keep your dog safe, friendly and controlled. If your dog needs space for any reason, please let us know at the beginning of the walk and you’ll be given a beautiful yellow bow (which indicates that he or she needs space) for your pup to wear to help everyone enjoy the afternoon! 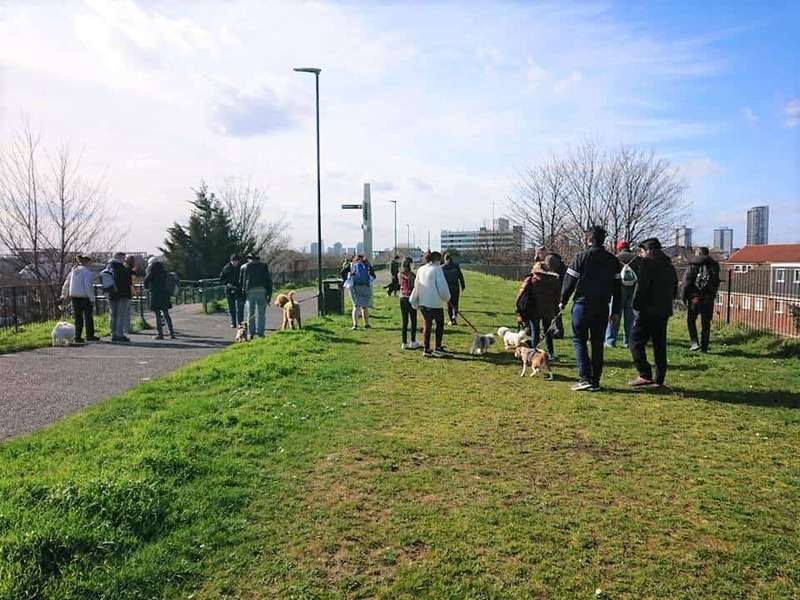 Newham Group Dog Walk Plaistow Park event description / image by the event organisers. Looking for doggie meetups and groups? Then check out our Guide to London Dog Meetups for You and Your Dog.